Show Racism the Red Card were recently contacted by representatives of global Bhangra superstar Jazzy B who is hoping to influence more young people of South Asian heritage to get involved in football. Jazzy has teamed up with Inventive Sports to increase Asian participation in UK football and was happy to tell us about his love of the game. 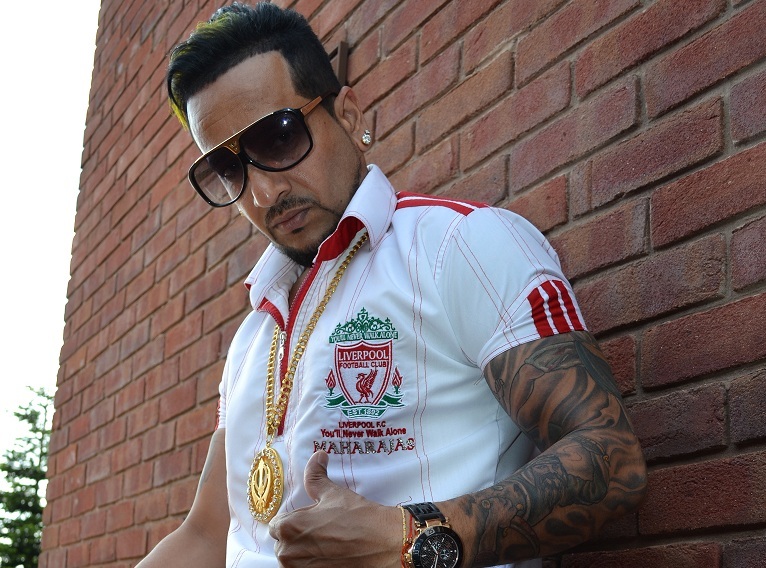 chance to get more involved in football and watch some games live”, explains Jazzy B, who is arguably one of the biggest stars of Bhangra music on the planet. Born in Punjab, India and raised in Surrey, British Columbia in Canada, Jaswinder Singh Bains released his debut album in 1993. He has since gone on to release over 15 albums and has toured the world twice over. Tagged as the ‘Crown Prince Of Bhangra’, Jazzy B has become one of the most recognised Punjabi personalities in the world with his unique style – both vocal and fashion. “I am a huge LFC supporter and proudly wear my official LFC shirts on stage in India and the Far East. For the UK and North American audiences, I generally wear my customised LFC kurta (a traditional Indian loose shirt). I designed it myself and got it custom made by my tailor in Punjab. All the Asian Liverpool supporters around the world who’ve seen it are asking where they can get their own kit from”. With over half a million Youtube hits to his last video alone, 20,000+ followers on Twitter and in excess of 250,000 fans on Facebook, Jazzy B proves that his musical message goes far beyond the surrounds of the Asian music arena. “I love talking about music and football on twitter and facebook. Baljit Rihal, Director of Inventive Sports said, "We are glad to have Jazzy B on board to help us spread the word about Asians in Football. It's not just about the players on the pitch; it's also about encouraging more Asians onto the terraces. Having Jazzy as an ambassador will help us encourage participation on all fronts”. a passionate LFC fan and that he supports the club through his music and social media channels”.